I want to start this off by saying that I’ve spent 20 minutes trying to figure out if it’s “cheese ball” or “cheeseball”. I assumed it was like basketball. But then I thought about soccer ball. There is no real consistency when it comes to balls, apparently. 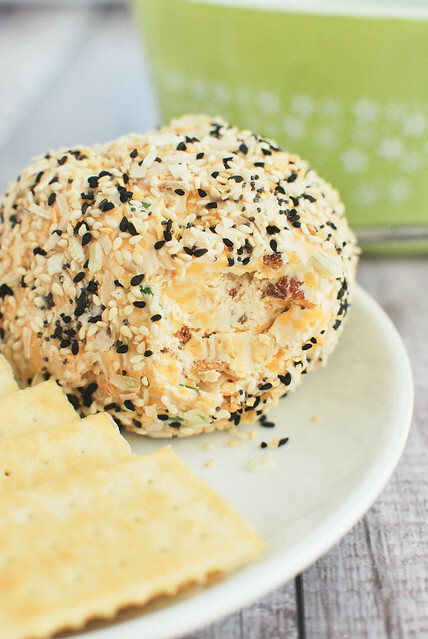 Today we’re talking about this Everything Cheese Ball. Because it’s football season and cheese balls are my favorite thing to show up with at football parties. Who doesn’t like cheese balls?! Especially when it’s cheese mixed with fun stuff like bacon and then covered in “Everything” bagel seasoning. This turned out delicious and it may be my new favorite cheese ball. Plus, cheese balls are so simple to make and you can make this one ahead of time and store it in the fridge (without the seasoning on it) until your party starts. Or until dinner. Or until your kids go to sleep and you can finally have a peaceful moment with the cheese. Whatever, I won’t judge you. Cook bacon in a medium skillet over medium heat, stirring often, until browned and crisp, 5–8 minutes. Transfer to paper towels to drain; let cool. Beat cheddar, cream cheese, and butter with a mixture until combined. Beat in scallion, pepper, Worcestershire sauce, and pancetta; season with salt. Scrape mixture into a small plastic wrap–lined bowl; gather plastic around cheese, using your hands to shape into a ball. Chill until firm, 3–12 hours. 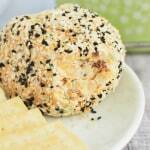 Before serving, roll in Everything bagel spice until coated. Serve with crackers. 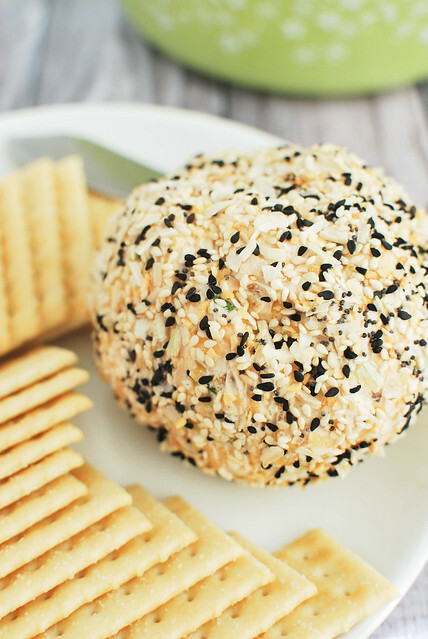 14 Responses to "Everything Cheese Ball"
I do most of my cheese eating after the kids go to sleep- otherwise they want to share :) This looks amazing. At the risk of sounding ridiculous- I had absolutely no idea they actually sold seasoning called “everything”. Thanks for the tip! 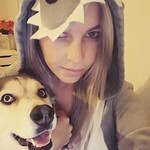 This is everything that is right with the world. And now I need everything bagel seasoning! All hail the mighty cheese ball. Bagels, get in line because I’m going to be spreading this cheese all over you. Maybe cheeseball is only a slur. ;) I’ve had cheese balls on my mind ever since I got the latest issue of BA (my favorite cooking mag) – now I have to make one! Yours looks perfect. 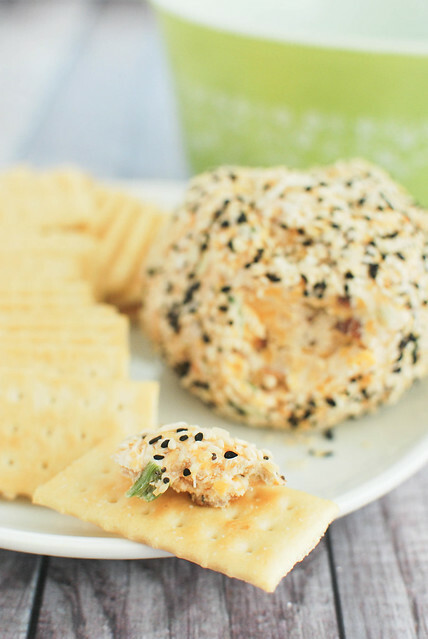 We love cheese balls and the everything spice blend! This looks fantastic! Sharing! Yes – definitely the peaceful moment alone with a cheeseball – glad no judgement is being passed :) And there is no good football party without a cheeseball or cheese ball.. Who knows how it’s spelled haha! Let’s say ‘Cheese spread’ and all will be solved! :) One of my favorite meals, I mean, snacks. soccer ball vs. basketball and how it relates to a cheese ball or cheeseball…THIS IS HOW my mind works! God I’m glad you shared that dilemma! :) And that you shared this recipe! Pinned & want!! We are big cheese ball. Cheeseball?? Fans around here! Love this!